We were having some friends round for lunch and it was a bit of short notice, so I didn’t really have time to think about what I wanted to ‘create’. I decided it needed to be special but quick….. I remembered watching one of the many cooking programs and loving the idea of ‘self saucing puddings’ so I set about looking for the ‘right’ recipe. I used the basis of this recipe dark brown sugar is really the best to use here, it makes sure you have a really butterscotch/caramel flavour. I usually spend quite a bit of time, researching various recipes and tweaking the recipes based on various recipes and my take on it, however this time I didn’t have time to mess around, so it was a matter of making sure I had all the ingredients and making the dessert. The attraction with this dessert/pudding was the fact that it gets eaten hot/warm so I didn’t need to get up at the crack of dawn (well nothing unusual) to get the cooking started and another point was that I didn’t have a lot of eggs as our hens had decided with the change in the weather it was a bit too cold to sit and lay eggs. The other ‘crazy’ thing about this recipe that is more bizarre than anything I have ever made, so if I said mix the base of the pudding together and place in the bottom of the cake time, then top with the sugar mixture and then…….. pour boiling water over the top and place in the oven….. well really these are the steps of this pudding, all that being said it was a fantastic dessert/pudding for any occasion. There are quite a few different versions of this recipe, lots of chocolate ones and then some with lemon curd, so there is plenty to try with the holidays coming up. The list below I have not tested yet, so if you do, then please let me know and what the results are. 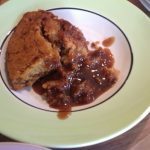 Sticky Date Self Saucing Pudding This has to be top of the list as it sounds like sticky toffee pudding. 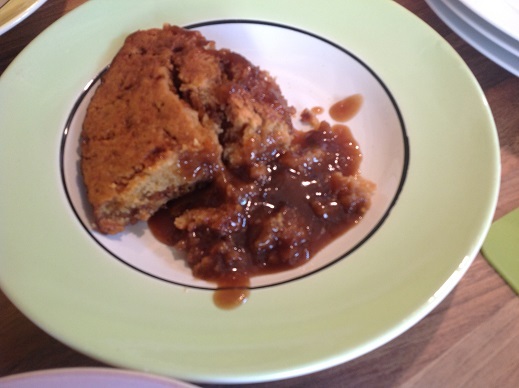 The final result is a delicious dessert, with a crust on the top of the pudding, light fluffy sponge and hot caramel sauce on the bottom….. Please try it, it really is a must. I will come back and update this post as I make the other versions, but I am really delighted with this version and will be trying it out again. Delicious warm pudding, perfect for a treat, just add to add a dollop of thick cream or ice cream. No need to spend lots of time mixing and baking. Place the butter into a jug and heat in the microwave until melted, remove and allow to cool slightly. Add 2 tbsp of golden syrup and milk to the jug and whisk together, then add the egg and mix again. Combine 50 grams of the brown sugar and all of the flour in a bowl. 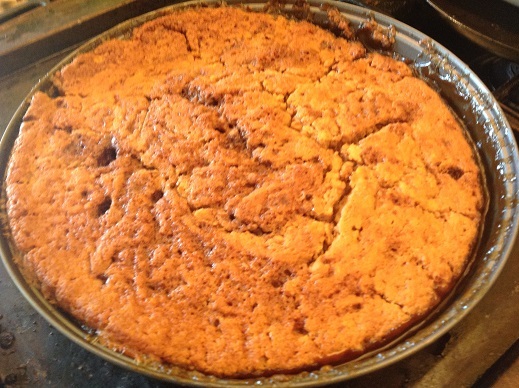 Combine the remaining 1/2 cup of brown sugar and cornflour in a small bowl and mix together well. Sprinkle over the pudding mixture. 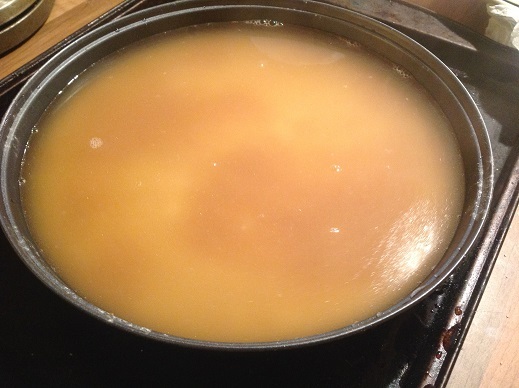 In the jug, measure the boiling water and add the the remaining 2 tbsp of golden syrup, mix together to melt the golden syrup. Take care and pour over the top of the pudding mixture, you need to the water to sit on top of the pudding mixture. Bake for 40, until you have a nice crust on the top, you can test with a skewer but do not push all the way down as you should expect to have the sauce on the bottom too. Serve with double cream or ice cream. Serve when you bring out of the oven, just add some cream and/or ice cream.